Crustless Cheese & Kale Mini Quiches for a Virtual Baby Shower! What’s more exciting than awaiting the arrival of a new baby? 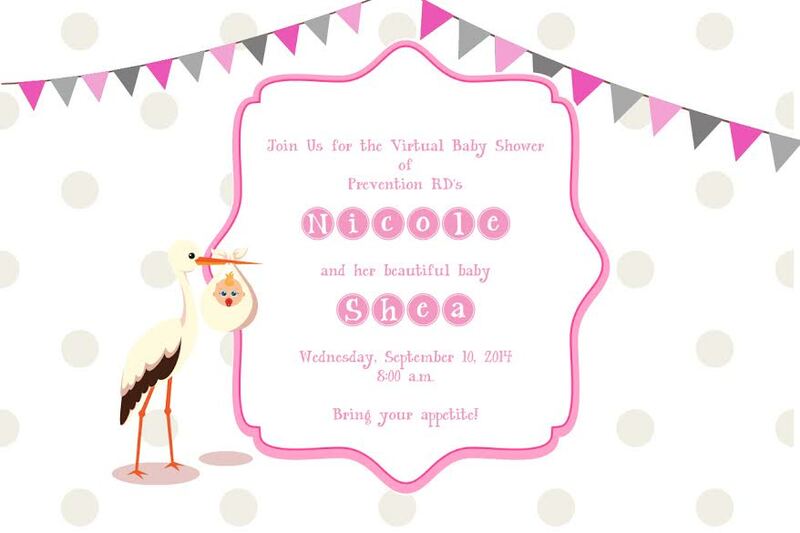 Nothing, besides it being a baby girl…yes, I’m biased 😉 Nicole, aka Prevention RD, has just a few more weeks before hers is due, and several of us have joined forces to put together a virtual baby shower today in her honor. Check it out over at Kim’s blog, Feed Me Seymour! Brunch is a popular time of day to throw a baby shower, and bite size treats are always a big hit for the occasion. These mini quiches are delicious and sure to please any group of ladies. Plus, they’re healthy, which we all know Nicole is a big fan of! Congrats again, Nicole! We can’t wait to meet Baby Shea! Preheat oven to 350 degrees. Spray a muffin tin with cooking spray. Combine eggs, salt and peppers in a bowl and whisk together. Heat oil in a large pan and add onion and garlic. Saute until slightly brown. Add kale and cook down. Add kale mixture to egg mixture and mix until combined. Pour into muffin tin and bake for around 15 minutes. Let cool slightly before removing from pan. This entry was posted in breakfast, cheddar, cheese, eggs, freezer friendly, kale, low carb, make ahead, QuickAndEasy. Bookmark the permalink. 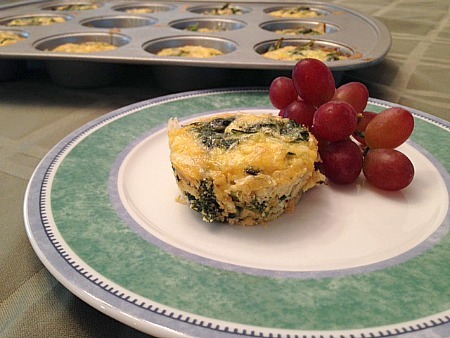 4 Responses to Crustless Cheese & Kale Mini Quiches for a Virtual Baby Shower! I’m always looking for ways to incorporate kale and I love your idea of putting them in quiche! It seems like forever since I’ve had/made quiche and you’ve inspired me to make them soon! Melissa – thank you so much for celebrating in baby Shea with these amazing (and healthy!!) mini quiches. I can only hope Shea will be a healthy eater…or at least try healthy foods 😉 Thank you so much for joining in to help welcome her – I’m totally flattered by you all! xo! Perfect little bites for a shower! I am definitely going to make these over the weekend for work breakfasts. Thanks for joining in on the shower, it was so much fun!